Stevie Nicks has proven herself to be the most powerful woman in rock & roll. However, even rocks Gold Dust Woman has her “what was she thinking” moments. Rock A Little perhaps is one of these. Rock A Little is a little like her previous release, the 1983 classic The Wild Heart albeit with a more 80’s pop feel. It fits Nicks much like a fashion accessory – too many of them break the overall outfit. The title track, “Rock A Little (Go Ahead Lily),” is one of those tracks. The lyrics scream rock song or at least a power ballad, but instead it is a slower song. Either way, neither song nor lyric fit each other. “The Nightmare” is a completely senseless song. Though it has a great beat, it’s like she was on quite a bit of drugs when she recorded it. 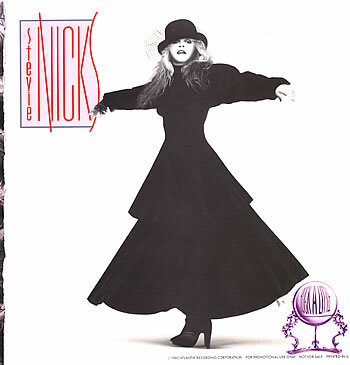 The same goes for other songs such as “I Sing For Things” – which would be an enjoyable track had Nicks not been on drugs, thus slurring her words. She does this on many of the tracks. Shortly after the Rock A Little tour, she famously entered the Betty Ford Clinic for treatment for a cocaine addiction. However, “I Can’t Wait” is almost like an updated version of the classic smash “Stand Back.” A surprise track that the Wild Heart loves is “If I Were You” – a ballad that is a plea to a significant other to stay in the relationship. It is a beautiful, yet uptempo, ballad. “Sister Honey” is a rare almost-dance track from Stevie Nicks. It is a great album cut. One of the best album tracks is “Has Anyone Ever Written Anything For You” – a song written for then-boyfriend and member of the Eagles Joe Walsh, who had suffered the loss of his young daughter due to injuries in an automobile accident en route to nursery school in 1974. Walsh took Nicks to the water fountain that she frequented when she was alive to show Nicks that her problems and pain were nothing compared to the hell he has put up with. Overall the Wild Heart can only recommend this album if either a) you want to show your children what music on drugs sounds like or b) you are a die-heart Stevie Nicks fan. Otherwise, only download a few tracks and nothing more. Since I am currently watching the excellent miniseries the 60’s starring Julia Stiles and Jerry O’connell, I figured that today we should talk about the 60’s. It was one of those decades that can be described in one word: upheaval, or, as Bob Dylan once said: “the times they are a-changin’.” So here it is, the greatest songs of the sixties according to someone that was born in 1986. Alabama Song (Whisky Bar) – The Doors. This has to be by far the most random song I have ever heard. Light My Fire – The Doors. Heatwave – Martha and the Vandellas. To me, there is something different about Martha and the Vandellas. Maybe excellence?! I can’t tell you because I don’t know – this is a good song to dance to. California Dreamin’ – The Mamas and the Papas. Who wasn’t dreamin’ of going to California back during the 60’s? The Beat Goes On – Sonny and Cher. A song that describes life during this time – or at least what I picture it to be. (It looks alot like the Wonder Years) Need I say more? 96 Tears – ? and the Mysterians. A song for those that are crazy – like me! Somebody to Love – Jefferson Airplane. Before Stevie Nicks, Ann Wilson, and the Runaways, there was Grace Slick – the rather eccentric and charismatic but crazy lead singer of Jefferson Airplane. Among her eccentricities included being placed on an FBI blacklist because she tried to spike President Richard Nixon’s tea with about 600 micrograms of LSD while trying to attend a party at the White House, “TUI”- talking while under the influence, and of course reminding Germans who won WW2 while on tour in Europe. Try – Big Brother and the Holding Company. Talk about a woman with an amazing voice! She still is unmatched even over 40 years after her death. Yellow Submarine – The Beatles. I cannot believe that Disney backed out of doing a remake of this awesome kitschy film! There is no good that can come from that! Clarence Clemons was a member of the E-Street Band as a saxophone player. He died at the age of 69 from complications of a stroke. We shall miss you man. Bands often don’t have the distinguished honor of having both a musical AND 2 movies, one of which starring Oscar winner Meryl Streep, celebrate their songs – not to mention is still widely popular. For a band that survived the tacky disco era of the 1970’s, this is quite an an accomplishment. 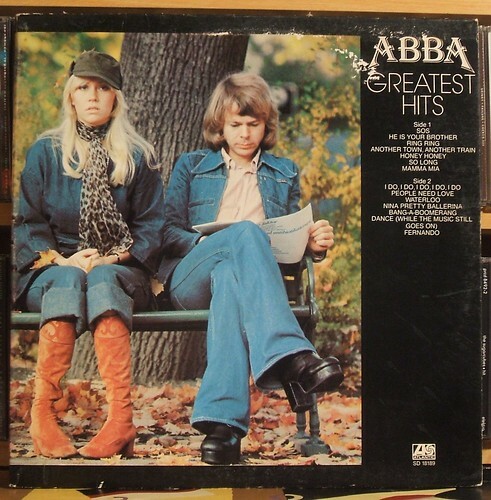 With their 1976 album, Greatest Hits, ABBA shows those that reside in the US that they are most definitely star-worthy with catchy songs such as Ring Ring, Mamma Mia, Waterloo, and Fernando. For those that are more familiar with the film rather than the actual group, this is a great way to get into the music of ABBA. However, only 3 songs that were used in the film are present. 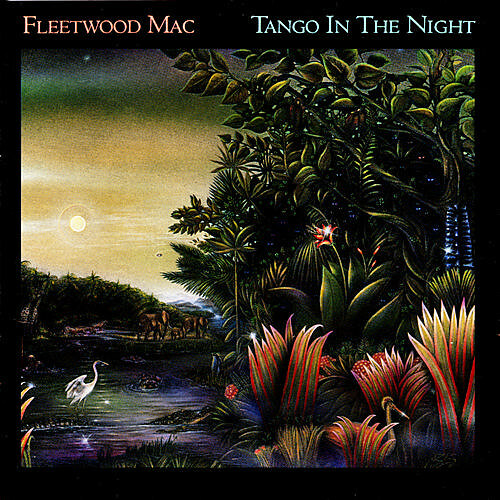 One of these songs is I Do, I Do, I Do, I Do, I Do – which contains a unique blending of band members Agnetha and Frida’s beautiful voices with a sound reminiscent of the Beach Boys hit single Wouldn’t It Be Nice. If you remember from the film version of Mamma Mia, this is what is sung when Donna’s ex lover (played by Pierce Brosnan) proposes to Donna (played by) Meryl Streep. Though there is some great tracks such as Ring Ring and Fernando, I cannot recommend this album. ABBA is great for downloading, but they are not an album artist. Their music, though at times creative, is somewhat formulaic and that formula goes bland when you flip it to side 2. However, I do highly recommend the film version of Mamma Mia. The music is more entertaining due to the fact that there is a different track selection than the this piece of junk. Chances are, if you were born after 1986 in the US, you have never heard of Joe Jackson. That is because by some, he has had very few hits in the US, the 2 being Is She Really Going Out With Him and Steppin’ Out. However, he is one artist that needs to be heard much more on this side of the pond due to both his songwriting and sophisticated style. He’s hardly a rocker these days, but he is the embodiment of cool. 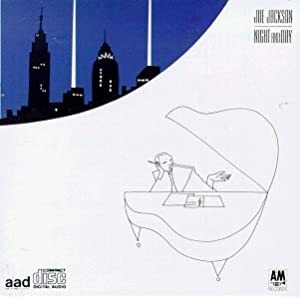 With Jackson’s 1982 release Night & Day, Jackson both captures both what it is like to live in New York City in 1982 – both the wonder, excitement, and even scariness. He also captures the music of the various districts, including Spanish Harlem with the latin jazz-tinged Target. With that track, its just a mere warmup to the albums most popular track, the no. 1 single Steppin’ Out. Two songs deal with rather touchy issues even to this day in some circles: cancer causes and the gay lifestyle on such songs as Cancer and Real Men. Jackson attacks the fact that all these medical reports, in some way shape or form, tell you that you will contract cancer if you ingest modern-day things such as nicotine, booze, or even protein. Real Men deals with the social expectations of men as seen from the point of view of a gay man living in New York in the early 1980’s. Overall the album is pretty good, but at times a tad bit repetitive with the drum bits – it has the same parts at the same time. However this is the albums only real weakness. It was nominated for the 1982 Grammy Awards for both Record of the Year and Best Pop Vocal Performance Male. The Newsboys are one of the craziest and most serious bands in Contemporary Christian Music. Australian predecessors (INXS, Kylie Minogue, the BeeGees, and even Men at Work), a rotating drum set, the message of Christ‘s love and forgiveness, and all-around craziness? You get the Newsboys! Since the landmark release of their eponymous album Not Ashamed in 1992, the Newsboys have been at the top of their game within modern-day Contemporary Christian music. One of the best things about Take Me To Your Leader is that it is an album that is fun to listen to. You don’t have to be a Christian to love their music because it is fun for everyone. Especially on the title track, where they talk about those that are searching for Christ in all the wrong places. Co-lead singer John James proclaims “I don’t know why you care/ I don’t know what’s out there/ I don’t know how it’s done/ Just take me to your leader son” Breathe, in the same vain, talks about how Christ is all about renewal to humanity. However, one of the most standout tracks is the disco-friendly Reality, which is a retelling of the story of the Prodigal Son. On the other hand, the album gets a bit more serious with songs that talk about why forgiveness, though hard, is something that needs to be done because it is what Christ says to do (Let It Go) and even miracles on Miracle Child. This album is definetly a classic.